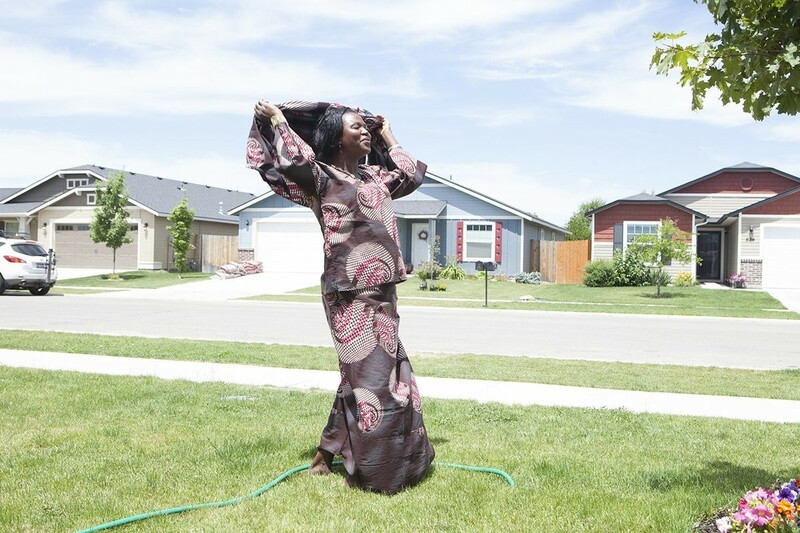 When editorial photographer Angie Smith noticed that a large refugee community had settled in Boise, Idaho, she was intrigued. "How [did] they [end] up in Idaho of all places?" she said to Business Insider. A natural storyteller, Smith was confident that there was a unique narrative to be told about these individuals, one that would be impactful both visually and socially. After becoming fast friends with her first subject, Rita, a 28-year-old from the Democratic Republic of Congo, Smith was introduced to more Congolese families who were willing to pose for her camera and tell her their stories. From there, her project expanded, and she was able to gain access to other refugee communities in neighboring areas. Soon after, she was given a grant by the city of Boise for a large-scale, outdoor exhibition of the work, and she's currently raising the rest of the needed funds for the exhibition via her Kickstarter . Although she's already reached her Kickstarter goal, Smith has bigger plans. "Additional funding will go towards the expansion of this project," she said. "I want to be shooting short films on individual refugees' stories and start traveling to other resettlement cities throughout the US." Ahead, eight images and the stories she and writer Hanne Steen gathered for Smith's upcoming exhibition, " Stronger Shines the Light Inside ". 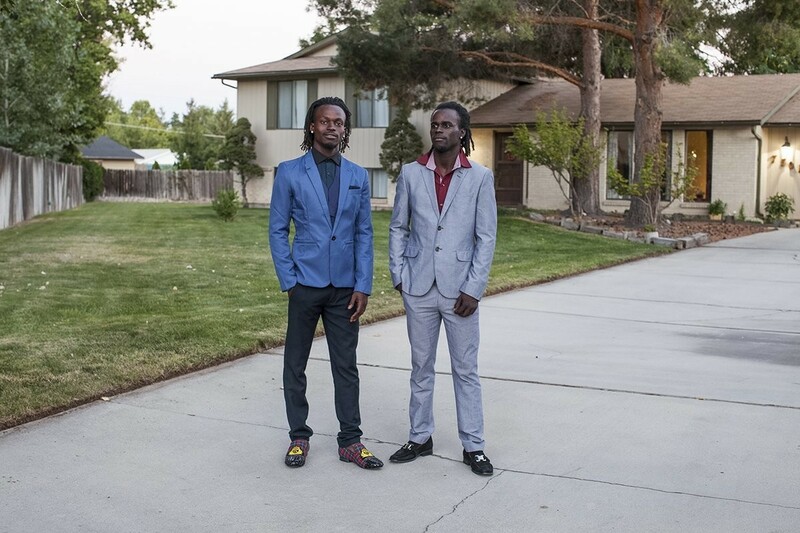 Before coming to the US at the age of six, brothers Patrick and Derek Seale Bakwa grieved the death of their parents in the Democratic Republic of Congo. As children, they were left to fend for themselves in Kinshasa. When they were granted refugee status, they moved to Boise, but they were neglected by their foster family and were homeless for two years in high school. In 2012, they were adopted by a couple that ministers the New Heart Baptist Church in Boise. Here, they stand in front of their adoptive parents' home. They now go by their adopted family's last name, Seale. 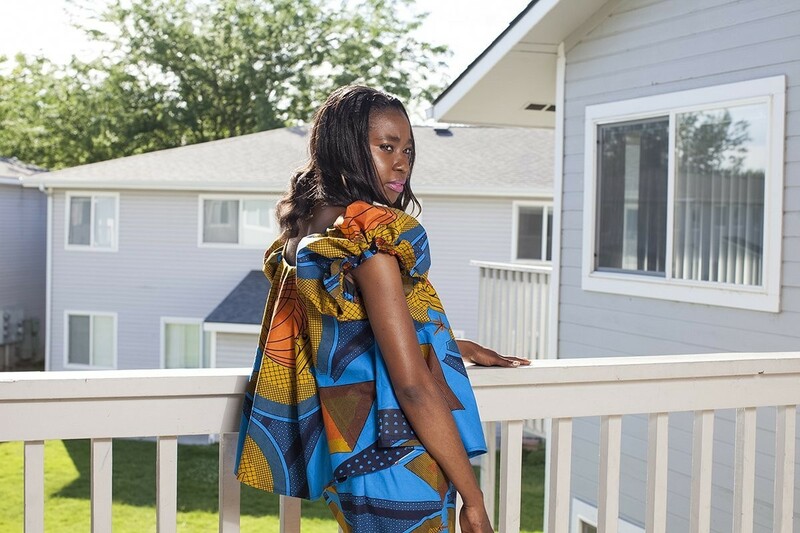 Rita Thara is also a refugee from the Democratic Republic of Congo and has lived in Boise for three years. When civil war broke out in 1997, her family was forced to flee Kinshasa, and Rita's father was shot and killed by militia. Rita and Veronique lived as refugees in the Central African Republic for over a decade, amidst civil war and ongoing hardship, while they applied for refugee status through the UN. After years of interviews and waiting, they came to Boise, where Rita started a clothing business called Thara Fashion. Sar Bah Bi is a refugee from Burma who moved to Idaho five years ago. 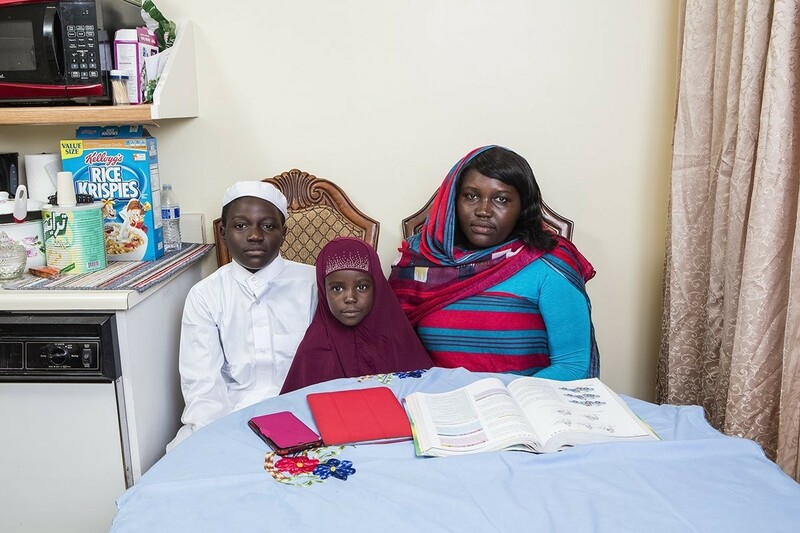 She met her husband, a refugee from Somalia, when she was a junior in high school. They fell in love despite the fact that they were both just learning English, the only language they could communicate in. They're now married and together have started a business selling their own produce at the Capitol City Farmer's Market in downtown Boise. Sar Bah Bi comes from a long line of cooks, and her mother owned a restaurant in the refugee camp they lived in. Sonia Ekemon is a former refugee from Togo. She has lived in Boise for 15 years and is now an American citizen. She's worked full-time in several local Boise hospitals, but recently realized her dream of opening her own hair braiding business. She believes that Boise's refugees should open their own businesses, and hopes that her new venture will help to inspire entrepreneurship in Boise's refugee community. "Everything is new," the Burmese twins Paw Lah Say and Paw Lah Htoo told Smith, who photographed them on their 25th birthday, less than a month after arriving in Boise. They left Burma when they were 13 because of persecution — the Burmese military burned down houses, so they had to flee. They were hiding in the jungle when it happened. They moved to Thailand with their father and brother in 2003, and lived in an enclosed refugee camp there for 13 years. Their mother passed away when they were six years old, due to a lack of proper healthcare and medication. Times at the refugee camp were hard because they could not go outside of the camp, and rations were decreased. They were hungry sometimes, and there was no opportunity to make money or buy food. They went to school in the camp from 4th to 10th grade, which is as high as the system goes. Today, their father and brother are still in the camp. The twins had a friend from the camp who was already in Boise, so unlike many refugees, they requested to come here. 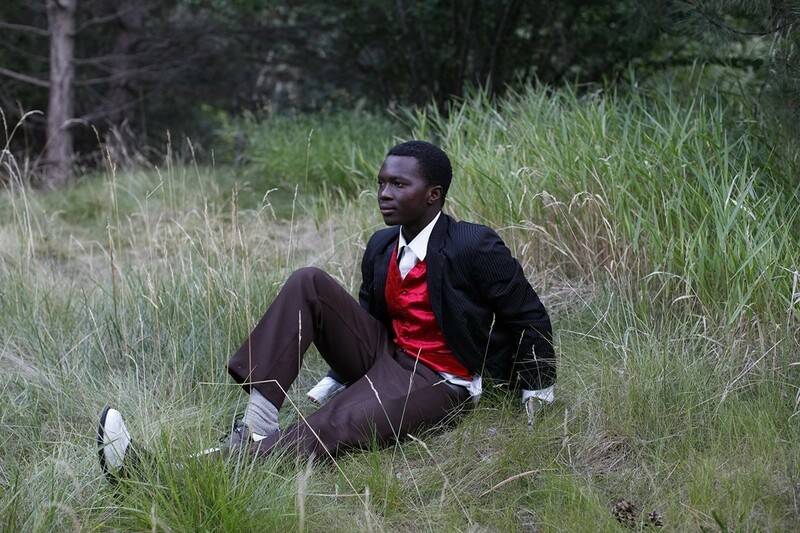 Tito Ndayishimiye is a 21-year-old filmmaker who has lived in Boise since he was 11. Born in Rwanda, Ndayishimiye moved to Tanzania to live in a refugee camp for 10 years until his family was sent to Boise. He works full-time at a call center during the day and runs his own thriving filmmaking business on the side. His dream is to go to film school in California and edit movie trailers. Khamisa Fadul is currently studying to become a nurse. A refugee from Sudan, and mother of two, Fadul has lived in Boise for eight years. In Sudan, she suffered genital mutilation at the age of seven. When her father was killed by a neighboring family over a land dispute, she fled with her mother to a refugee camp in Kenya to avoid being kidnapped and "owned" by the family that had killed her father. After many more years of severe hardship, she was granted refugee status and resettled in Idaho. She now works at a local sporting goods company, and has started her own business making Sudanese baskets made of dried palm leaves. She sells them at a local market. 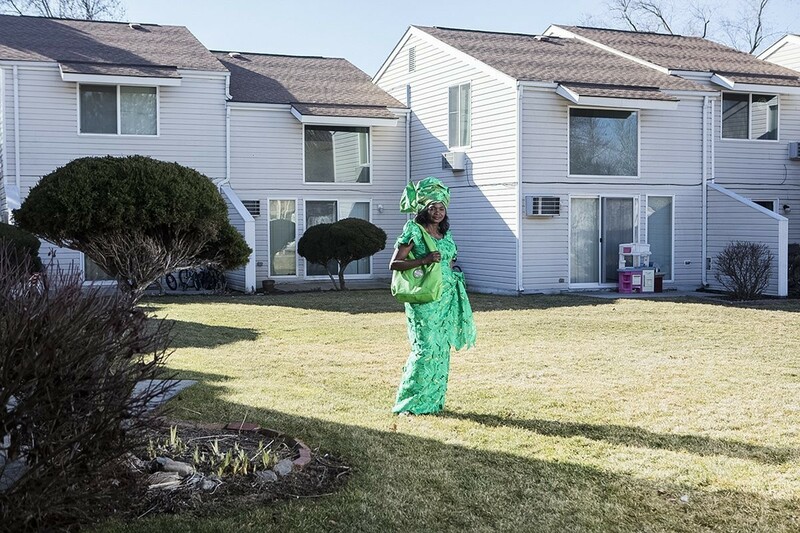 Alfonse stands outside of her apartment building in Boise, Idaho, wearing a dress that she designed and sewed herself. Alfonse moved to Boise 8 years ago from the Democratic Republic of Congo.